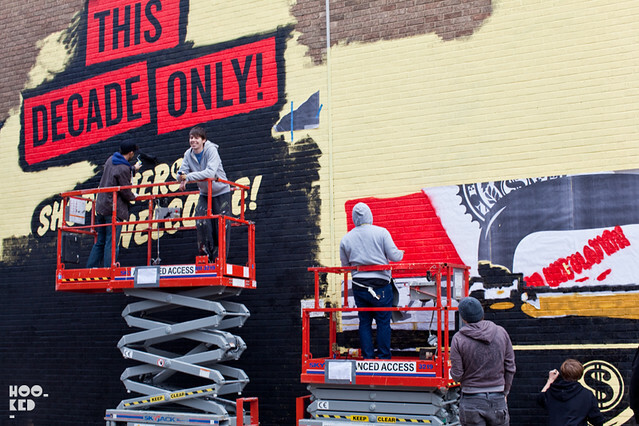 With Monday's rain halting work, American artist Shepard Fairey and his team continued progress today on one of two large murals the artist has planned to instal on the streets of London in the run up to his upcoming Sound and Vision exhibition at the Stolen Space Gallery in East London. 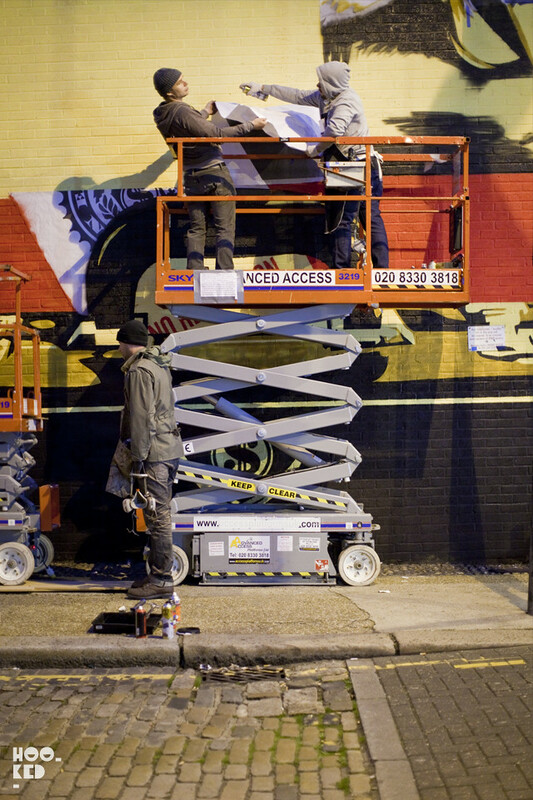 Hookedblog captured some progress photos of the artist at work this afternoon and again this evening as they worked on the large wall. 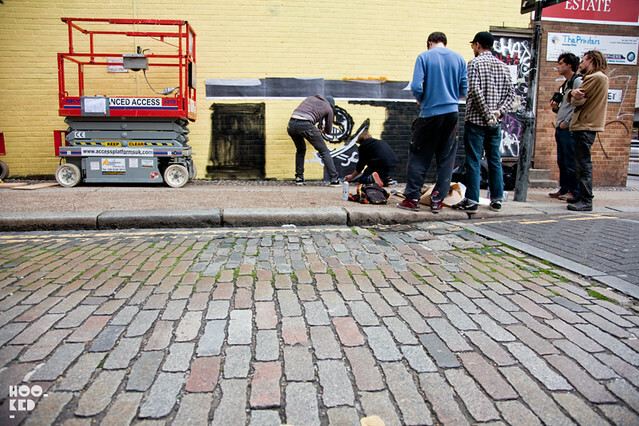 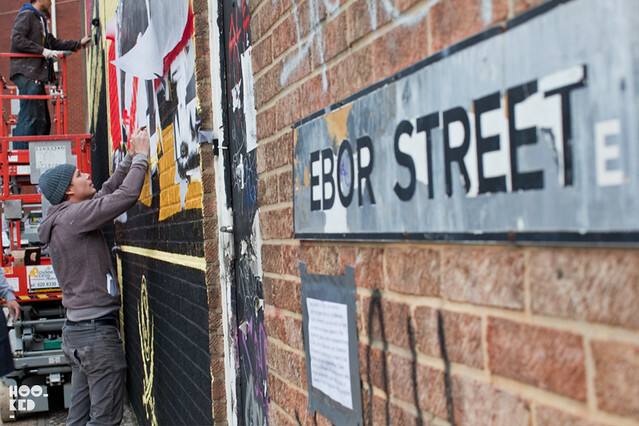 We will be back on Ebor Street again tomorrow to capture the finished mural so be sure and check back with us soon.